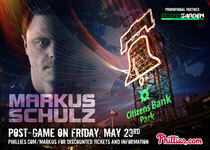 On Friday 23 May, Markus Schulz will descend on Citizens Bank Park, Philadelphia, US to host a special electronic dance music event. Markus will perform at the end of that evening’s Phillies-Dodgers game, where he will take the field for a set which will include showcasing songs from his brand new album ‘Scream 2’ to baseball’s biggest Phanatics. All fans who have a ticket to that night’s game are invited to take part. No additional tickets are needed for the event, which is being promoted in conjunction with SoundGarden Hall. The post-game event will take place along the ballpark’s outfield entertainment area and plaza, providing a unique backdrop for a night of music and dancing. “I’m a huge baseball fan, so to team up with the Phillies for such an amazing event is something I’m really looking forward to. 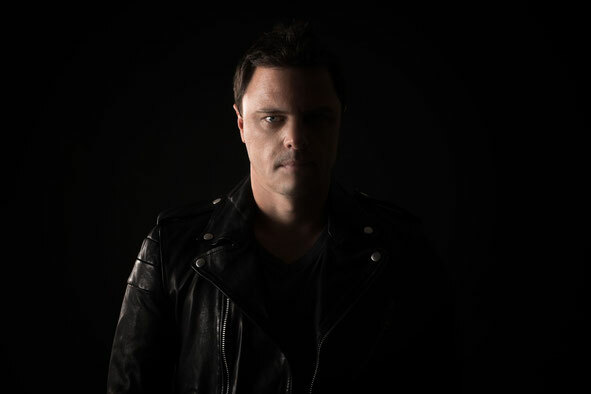 I’ve played in night clubs and at some of the biggest festivals around the world but can’t imagine what it will be like to DJ in one of baseball’s finest cathedrals,” Markus Schulz said. “We have already brought some of the greatest names in dance music to Philadelphia, and we’re thrilled to partner with the Phillies and Markus Schulz on this amazing event," said Gary Shusman, owner at SoundGarden Hall. “It is amazing to see how far dance music has come," adds SoundGarden's Mark Marek. "Having our music share a stage with our national pastime is a beautiful thing."